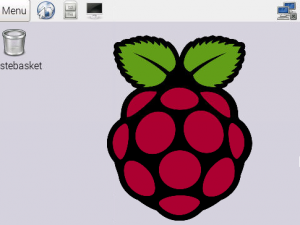 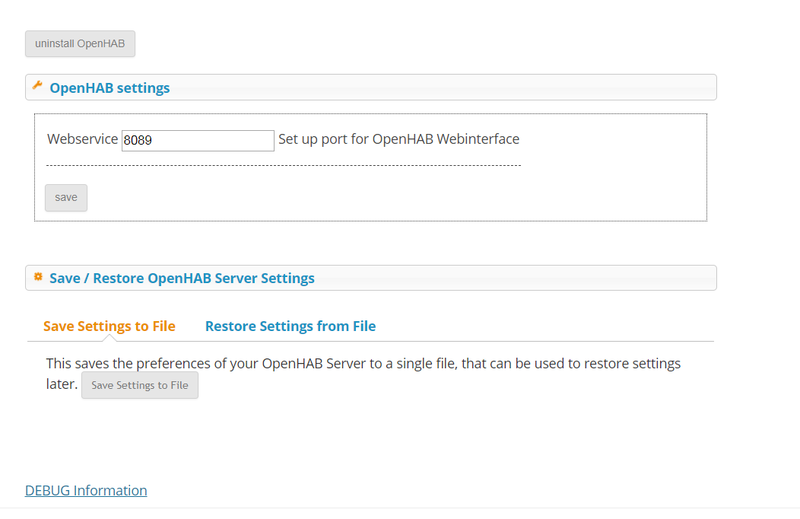 This plugin install the OpenHAB Server with one click on your Raspberry Pi. 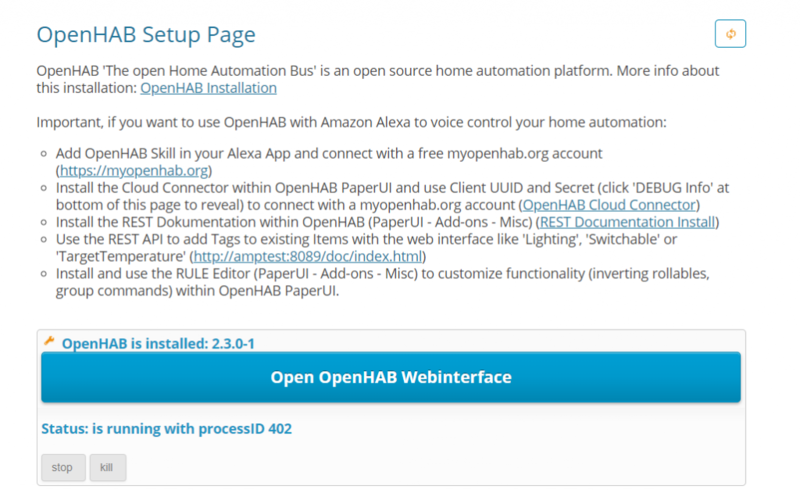 With this server you set up home automation integration of Squeezelite or set up Alexa voice control, all through its own web interface. 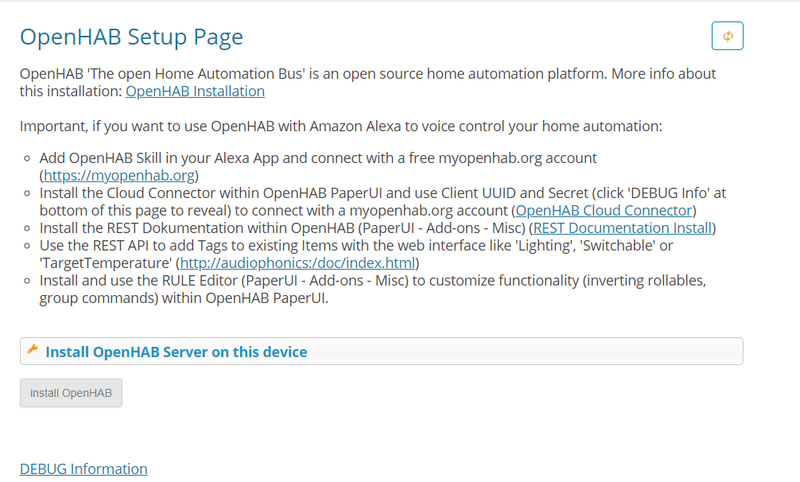 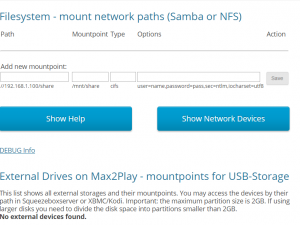 Installs an OpenHAB Server on the Max2Play Device.